Most of the work that we do in and around the Northamptonshire area is all about creating new spaces for our customers to enjoy. These can be loft conversations, new extensions or kitchens. When our customers come to us with a complete new build we always get excited. It is a chance for us to work closely with our customers and create their dream home. It is the sort of project that is always a pleasure to be a part of from the very first draft of the plans. Our team of highly skilled tradesmen have over 25 years of experience within the building industry. This makes us the perfect company to call upon when you would like to build a new home. 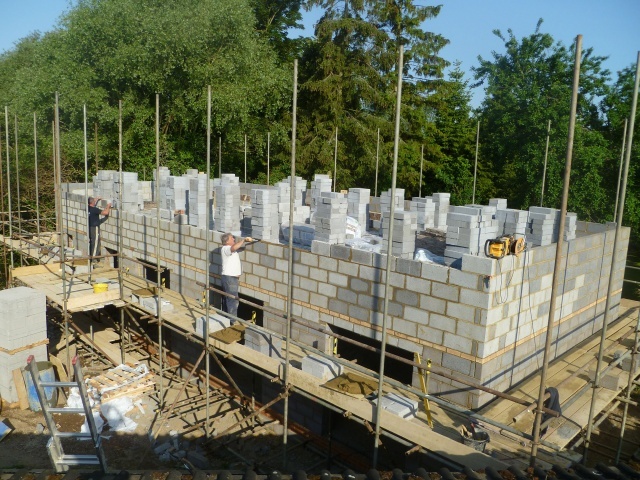 Whether this new home is a one off bespoke house or if it is a multi dwelling development. We can help you transform a patch of grass and mud into your dream home. The skills that our team have allows us to meet all the needs of our customers. Whether you would like your home to be timber framed or the traditional bricks and blocks, we can help. We have completed many new builds for domestic customers and property developers over the years. We are always willing to provide you with our wealth of knowledge and experience to make sure that your new home is exactly as you dreamed it would be. For any more information regarding our new build projects and how we can help you with yours, please feel free to get in touch. We will be more than happy to help in any way we can.